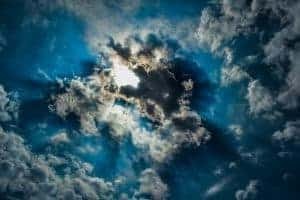 Roofing is one of the most dangerous jobs, and therefore, safety has to be a priority. That’s why you need to use the right tools that guarantee safety, and among them is a roofing nailer. 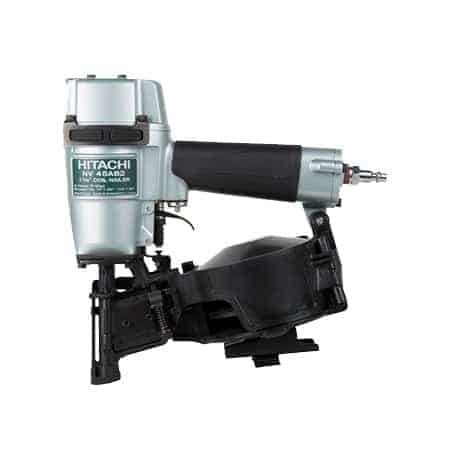 There are many brands making roofing nailers, and Hitachi is among the most respected brands. They have made NV45AB2, one of the best roofing nailers. This tool was designed with the safety of roofers in mind. It has a rubber casing to ensure firmer grip to the roof when placed on the working area. The tool also has a weatherproof construction thereby allowing one to work safely in any weather condition. Hitachi NV45AB2 has been tested even in extreme weather condition to ensure optimum efficiency in its operation. Weighing at just 5.5 lbs., this roofing nailer reduces aching arms and fatigue. It has a balanced design to ensure one-handed operation and also features a non-slip rubber grips making it comfortable and safe on your hand. It can work at an air pressure of 70-120 psi making it one of the best nail guns on the market. The carbide tipped inserts on its nose ensures high performance during operation and durability. This 7/8-Inch to 1-3/4-Inch roofing nailer is the ideal nail gun for multiple construction applications including installation of roofing shingles and insulation boards. With the ability to fire individual nails or fire continually, this roofing nailer from Hitachi is the ideal choice for any DIY enthusiast and professionals alike. It has a bounce-free mechanism that is designed to keep up with quick roofers, as well as single fire which is ideal for precision work. Initially, this nail gun comes with the bump-fire mode, and you need to invest extra money in upgrading it to a tool with sequential fire mode. To see all the best roofing nailers check out our Roofing Nailer Buying Guide. Since you are working from outside, you will encounter days when you are roofing in extreme weather condition. Cold or stormy weather can affect your operations, especially when you are working with delicate tools. For this reason, roofing should be done using an all-weather nailer, and with this nail gun from Hitachi, you are guaranteed that you will work efficiently in any weather without the tool ability being reduced. You can use this tool with confidence that it will pull great performance in different roofing environment, thanks to its toughness and weatherproof design. Hitachi NV45AB2 is air-filled nailer and works by deriving power from compressed air, which comes from air compressors fitted in this tool. You will need 70-120psi compressed air to use this tool. The tool guarantee consistent roofing works with great, precise results for a long time. It is designed for multiple roofing jobs such as installing insulation boards and roofing shingles. This nail gun can throw roofing nails with a length of 7/8-Inch to 1-3/4-Inch and diameter of .120. However, the nails must be coil-shaped and wire-collated. This tool’s magazine can hold up to 120 nails at a time. The magazine is side-loaded, and thus you can load it by opening its cover from the side, place your nails and close the magazine cover at the right place. Hitachi NV45AB2 allows users to work in both bump-fire and sequential modes. Hitachi calls these as continuous and intermittent operation. The modes are quite similar to bump-fire and sequential modes. Initially, the tool only accommodates the bump-fire mode. To get sequential mode, you will need to invest more money to convert this tool so it can accommodate sequential fire mode. There is a user guide provided by Hitachi to explain this further. 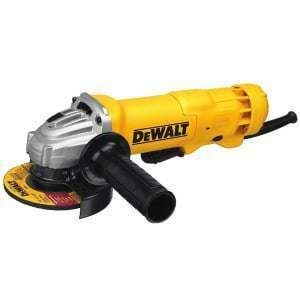 Being a pneumatic roofing nailer, this tool provides comfort in many ways. Firstly, it is lightweight and therefore comfortable to work with. Secondly, it has a well-balanced design that allows for one-hand control. And thirdly, it has a non-slip rubber grip that provides comfortable handling. The Hitachi NV45AB2 roofing nailer is the ideal choice for both DIY enthusiasts and professional roofers, thanks to its innovative design and great features that make it a reliable and safe nail gun.